Fred Pearce, ‘The New Wild: why invasive species will be nature’s salvation’, Icon Books Ltd, 2016. Matthew Chew and Andrew Hamilton, ‘The Rise and Fall of Biotic Nativeness: A Historical Perspective’, in David Richardson (ed) Fifty Years of Invasion Ecology: The Legacy of Charles Elton, Blackwell Publishing Ltd, 2011. 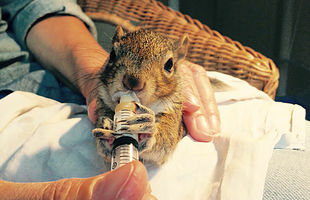 Harris, et al., ‘Is culling of grey squirrels a viable tactic to conserve red squirrel populations?’, Bristol University, 2008. Middleton, The Ecology of the American Grey Squirrel in the British Isles, 1930. Kenward and Holm, ‘On the replacement of the red squirrel in Britain:a phytotoxic explanation.’, Proceedings of the Royal Society, Biological Sciences, 1993. Bryce et al., ‘Can niche use in red and grey squirrels offer clues for their apparent coexistence?’, Journal of Applied Ecology, 2002. Hale, et al., ‘Patterns of genetic diversity in the red squirrel (Sciurus vulgaris L.): Footprints of biogeographic history and artificial introductions.’, University of Newcastle, 2003. Chantrey et al., ‘European red squirrel population dynamics driven by squirrelpox at a gray squirrel invasion interface’, Ecology and Evolution, 2014. Simpson et al., ‘Causes of mortality and pathological lesions observed post-mortem in res squirrels (Sciurus vulgaris) in Great Britain’, BMC Veterinary Research, 2013.